Knowing there was an opportunity to attract record numbers of attendees, we helped the association create a series of advertisments, invitations, and postcards. Hey, 75 is a lotta years! 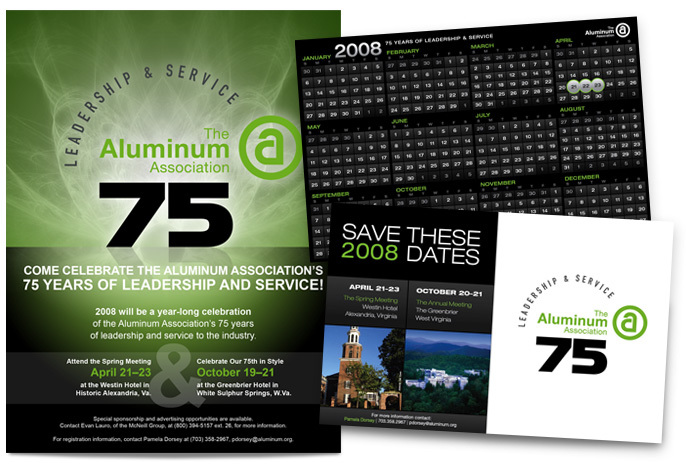 We were honored to be asked by The Aluminum Association to help them commemorate their 75th anniversary with a new logo, ads, postcards, and much more. Coming up with a new logo isn’t something we take lightly. Especially when it will be used to represent seventy five years of service. The mark needed to be strong and traditional but at the same time we wanted it to feel new and fresh. Aluminum wasn't seventy five years old . . . they were seventy five years young and relevant to our “ever-greening” industries. 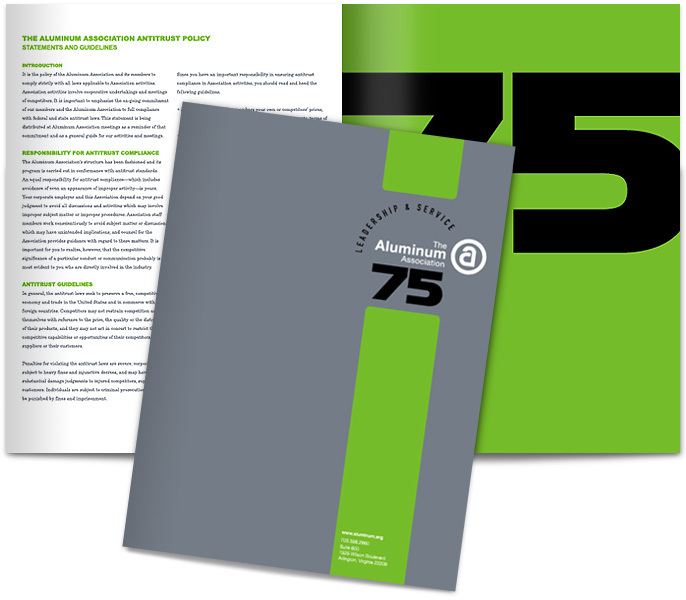 We chose to make 75 the centerpiece or focal point for each item we designed. We pushed the contrast of the green and black to create a sense of elegance and emphasize The Association’s advancement of sustainable products.